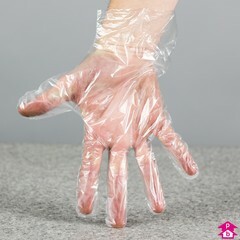 Large Clear Poly Gloves are ideal for food application/cleaning. Embossed for easy grip. Available in 1000's, boxed in 10000's.